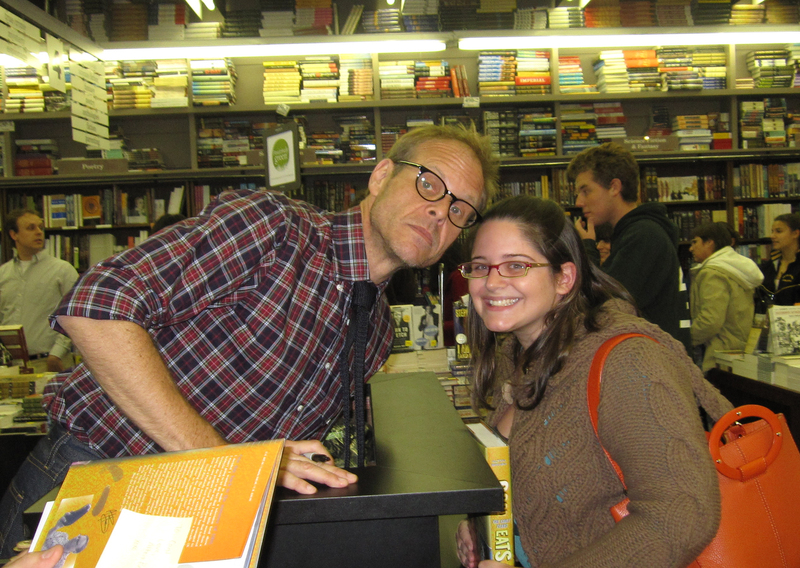 I got to meet and got a book signed by Alton Brown tonight! 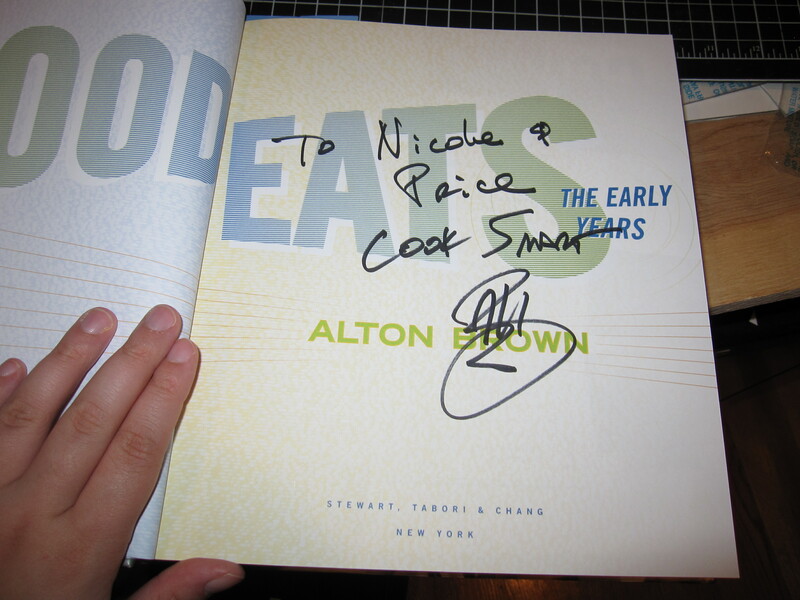 Yes, the Alton Brown on Good Eats and Iron Chef America and the Next Iron Chef. He’s a busy man. 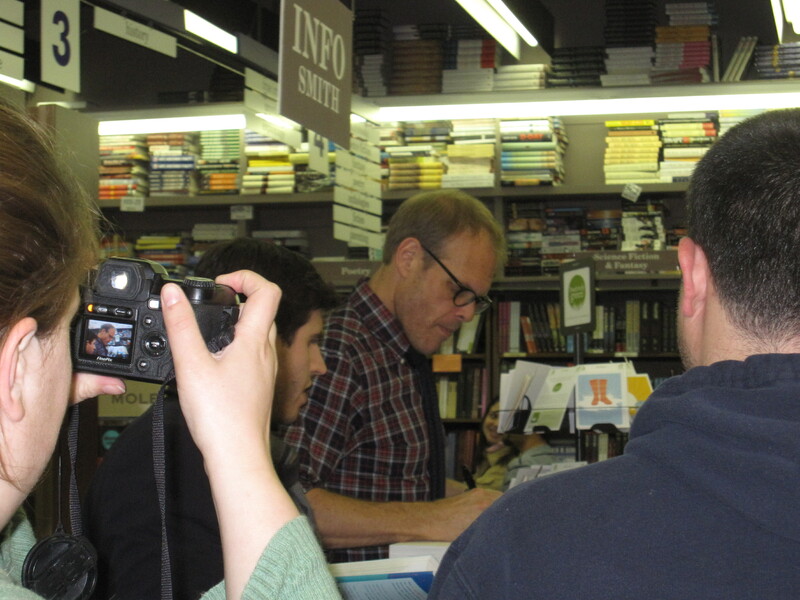 But not too busy to sign a book. 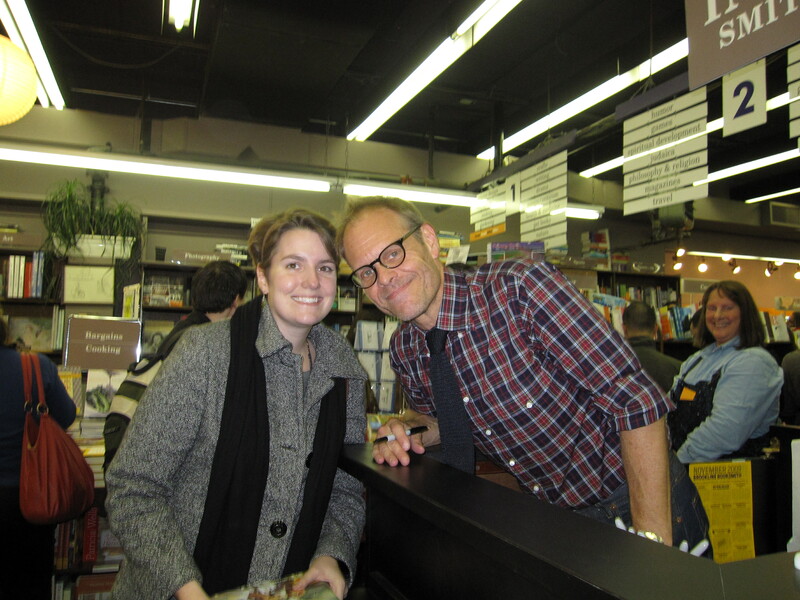 Okay, it was for a book tour to promote his new book, Good Eats: The Early Years, but it was still so great to get him to sign the book and take a picture with me. 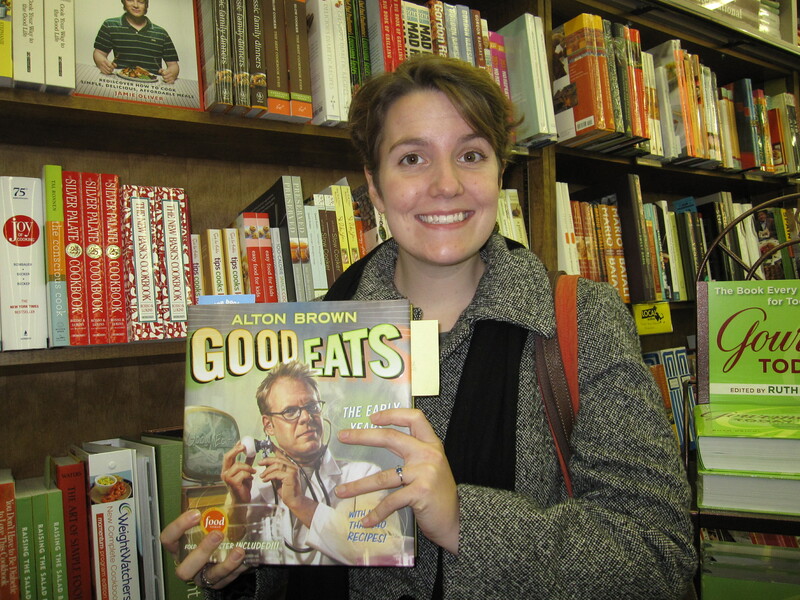 I met my friend Natalie to go to the signing. 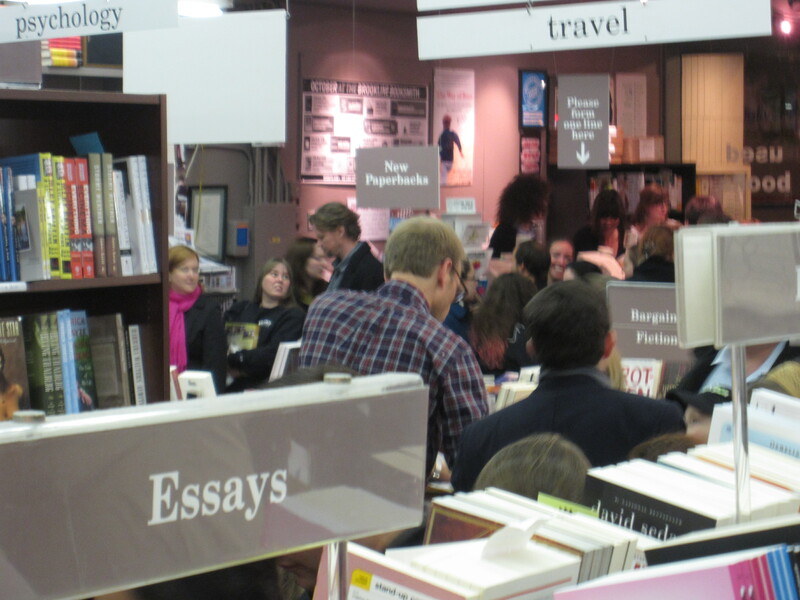 We waited in line for about an hour at Brookline Booksmith. 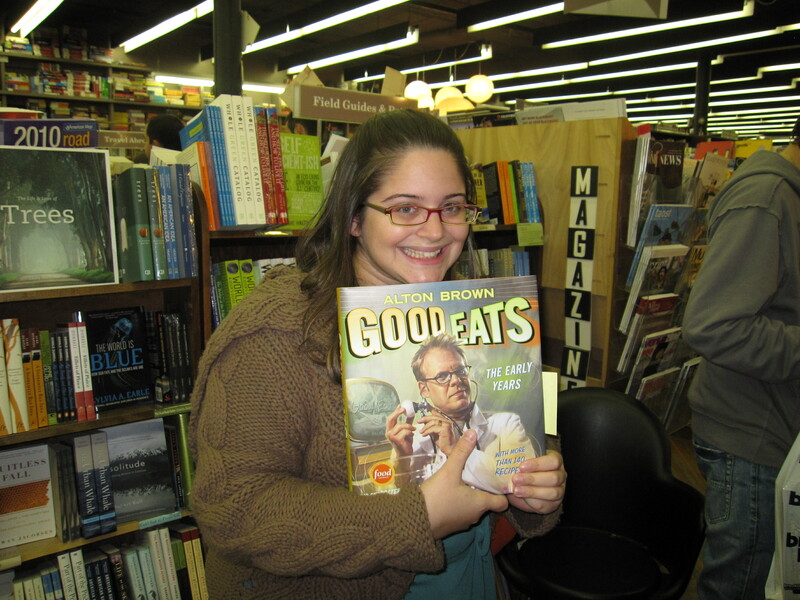 We were excited!! As we got closer we got more excited, plus we could see him!